The South Pasadena City Council gathered at City Hall Wednesday, June 6 to review solutions to the ongoing water discoloration issue and discuss efforts in reducing homelessness. Staff Liaison for the Public Works Commission, Leaonna DeWitt, recapped the short-term solution for water discoloration which is switching water suppliers. DeWitt’s proposed a long-term plan will include the construction of an eight vessel water treatment facility. At this facility, water intended for South Pasadena will be cleaned prior to use to remove contaminants that may be found in the water. San Gabriel residents are concerned that the construction of the facility will destroy the aesthetic beauty of the neighborhood. DeWitt has taken note of these complaints and has emphasized the importance of addressing these concerns in the most efficient and affordable way possible. Also on the agenda was South Pasadena’s plan to avert and tackle homelessness in the community. As a result of Measure H, which passed March 2017, a quarter-cent sales tax was implemented throughout LA County to raise funds to prevent and combat of homelessness. The LA County Homeless Initiative gave a grant of $30,000 to South Pasadena, which then reached out to LeSar Development Consultants to develop a strategy to solve the homelessness issue. Winnie Fong of LaSar and SPPD Sergeant Shannon Robledo presented a plan to build housing for the homeless, and rehabilitation for those who need it. The presentation also revealed that there were about 9-12 homeless people living in South Pasadena. City Councilwoman Diana Mahmud was expecting a specifically tailored strategy for the city of South Pasadena, and referred to this plan as “general and underwhelming” because the proposed ideas were not feasible in the community. 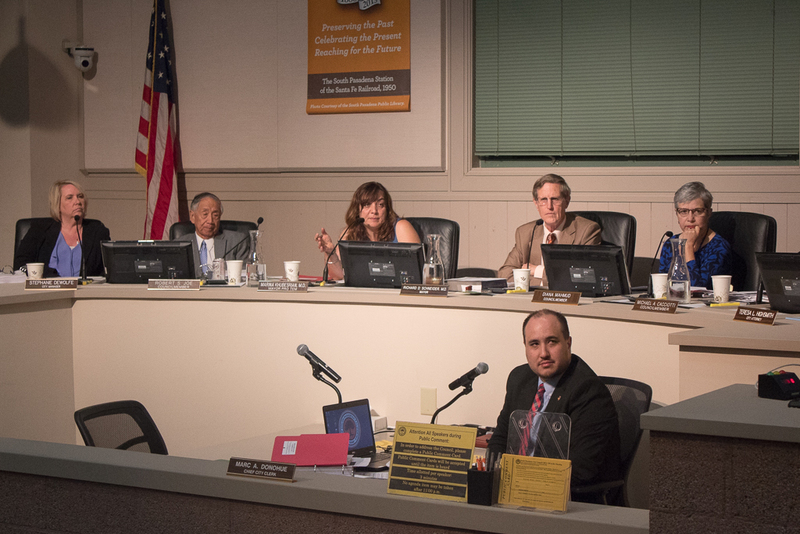 The City Council will reconvene on June 20th with the hopes of approving a resolution that better approaches the homeless population in South Pasadena.